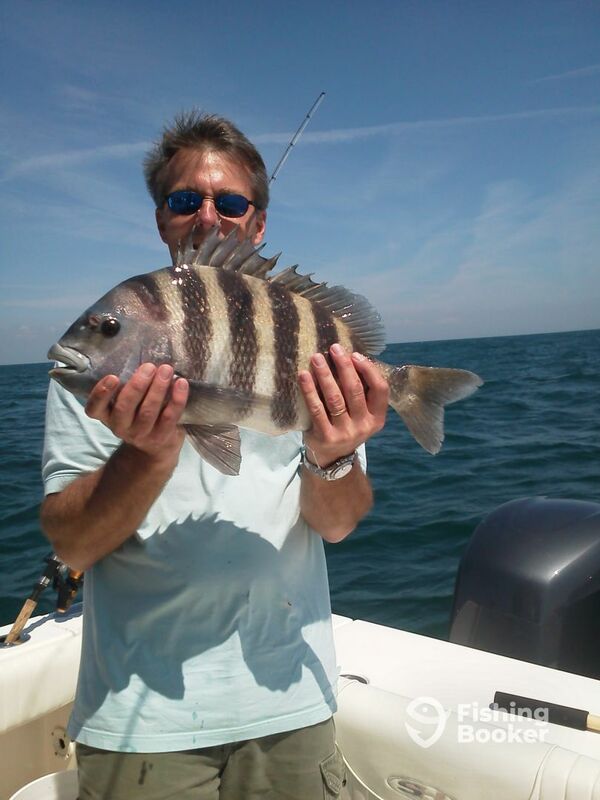 Took a couple guys offshore today to one of the reefs to catch some Sheepshead. The bite was incredible despite the bumpy ocean. It took a little while to get them going, but when it turned on it was red hot. Ended the trip with over 40 Sheepshead and a half dozen Black Drum.